ST. LOUIS – A prominent humanist organization sent a letter earlier this week to the Missouri National Guard, demanding that ‘immediate action’ be taken to remove a display of Bibles from a military base. However, AHA insists that the Scriptures must be removed from Missouri National Guard property. “Numerous cases have ruled that when the government offers biblical literature, even if done indirectly, it is an unconstitutional endorsement of religion,” Miller said in a statement. According to reports, the Bibles on the base are not handed or distributed to the military personnel—they are simply available to read if someone chooses to do so. Nevertheless, AHA believes the Bibles’ presence on the base is illegal. In the AHA letter, Miller warns of possible legal action if the Missouri National Guard does not remove the Gideons Bibles right away. 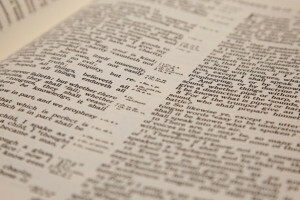 Despite AHA’s threats, many believe that the Bible stand is legal. As previously reported, atheists and humanists have objected to Gideons Bibles on multiple occasions. In the past two years alone, the Gideons have faced opposition in South Dakota, Kentucky, Tennessee, Oklahoma, and British Columbia.